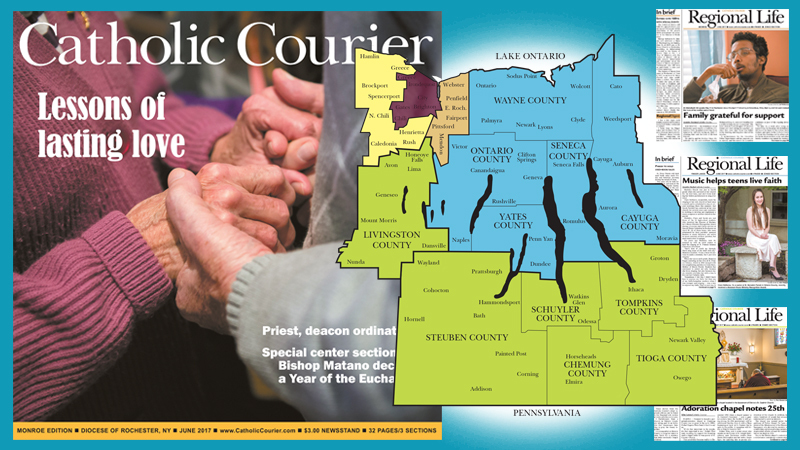 Monthly from February to June and August to December, the Catholic Courier's print editions enter the homes of 100,000 satisfied subscriber households in the Diocese of Rochester. We hope your home is among them! This website and our free, monthly interactive digital edition are available 24/7/365, and we offer two free, weekly e-Newsletters to make sure readers are always up-to-date.